The teenager, who fled London aged 15 to join Islamic State's self-proclaimed caliphate in Syria, has said she wants to return to the UK with her newborn son. 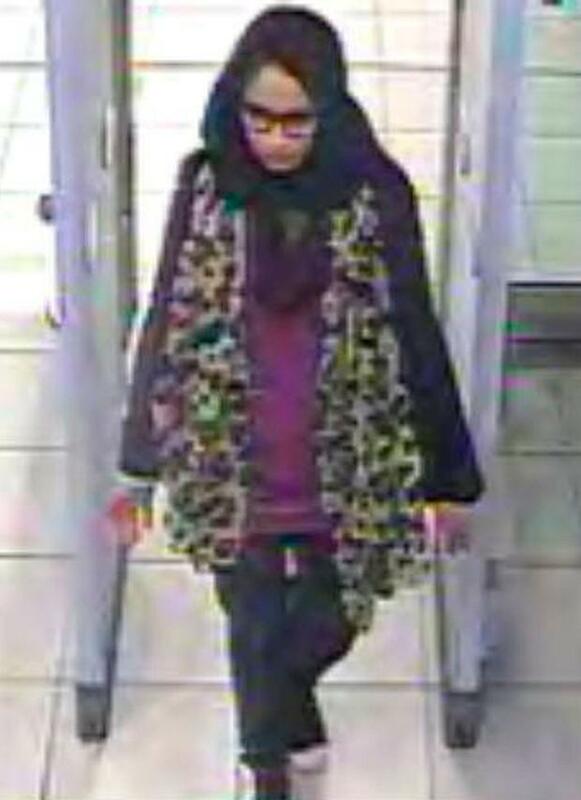 Speaking to The Sunday Telegraph from the al-Hol camp in Syria, Ms Begum said: "They are making an example of me. I regret speaking to the media. I wish I had stayed low and found a different way to contact my family. That's why I spoke to the newspaper." The UK Home Secretary revoked Ms Begum's British citizenship in a move only permissible under international law if it does not leave the individual stateless. Her family have written to the UK Home Secretary asking for his help to bring her newborn son to Britain. Her sister Remu Begum, writing on behalf of the family, asked how they could help "in bringing my nephew home to us". Meanwhile her father, Ahmed Ali, 60, said he "does not have a problem" with the UK Government's stance and suggested he did not have sympathy for his daughter due to her lack of remorse. Speaking to the Mail on Sunday at his home in the Sunamganj region of north-east Bangladesh, he said: "I am on the side of the Government. I can't say whether it is right or wrong, but if the law of the land says that it is correct to cancel her citizenship, then I agree. "If she at least admitted she made a mistake then I would feel sorry for her and other people would feel sorry for her. But she does not accept her wrong." Mr Javid's removal of Ms Begum's citizenship came amid heated debate over whether the teenager should be able to return to the UK after she was found in a Syrian refugee camp with the terror group's reign nearly over.